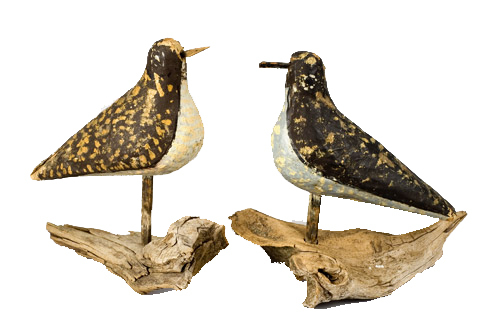 Presented here, a pair of Golden Plover Shorebird Decoys from Nantucket, circa 1900. These are made of Paper Mache` and are in excellent original condition, including paint and bills. There is minor edge wear that is mentioned for the sake of accuracy. 8.5 inches long and mounted on a driftwood base.